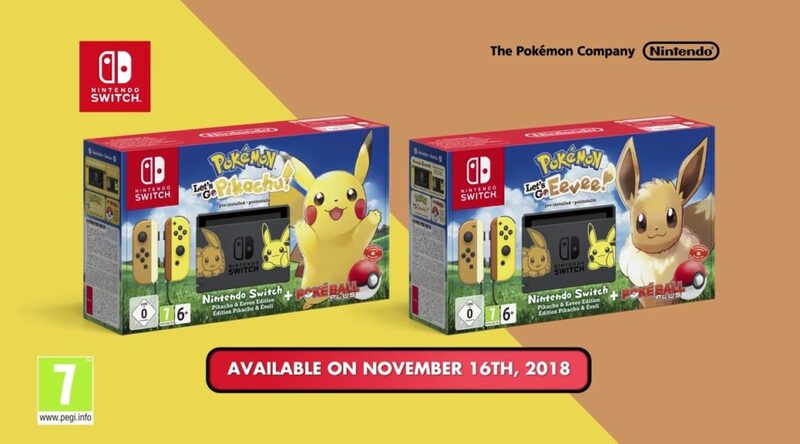 Nintendo of Europe has sent French retailers their Day One launch shipment figures for the upcoming Nintendo Switch Pikachu & Eevee Edition. There will be 20,000 units of the special bundle with Pokemon Let’s GO Pikachu, and another 20,000 units with Pokemon Let’s GO Eevee, bringing up the total figure to 40,000 units. For comparison’s sake, the Nintendo Switch Super Mario Odyssey Set released in France last year had a launch shipment of 50,000 units. We should be seeing a similar trend in other countries and regions, where availability is overall slightly lesser than the Nintendo Switch Super Mario Odyssey Set, and higher demand (since Pokemon is a bigger franchise) will make it run out even faster.